﻿ Nova Park Hotel, Pattaya | FROM $26 - SAVE ON AGODA! Have a question for Nova Park Hotel? 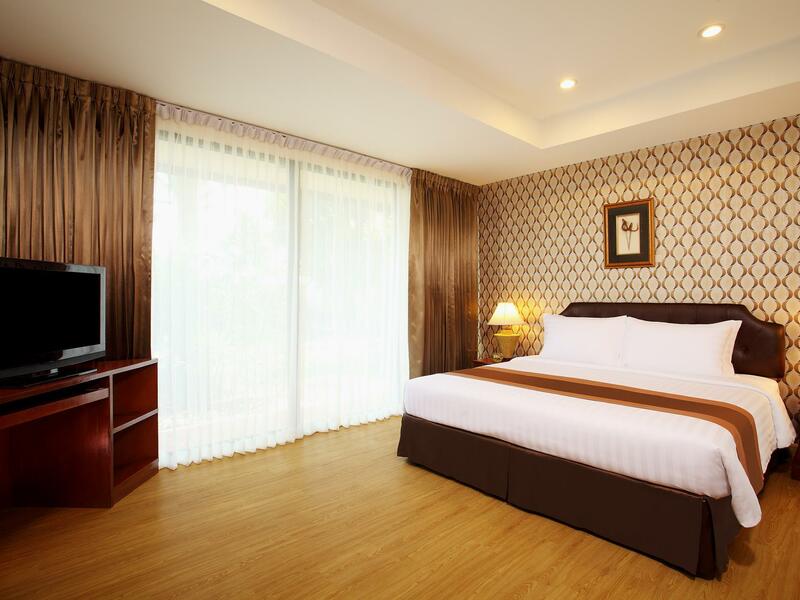 "Can relax love the place"
"Good hotel good staff specially for reception staff and housekeeping staff"
"Excellent hotel, location and service"
Book a stay at the Nova Park Hotel in Pattaya for a memorable vacation. The rooms at this hotel overlook the city, so you can see the stunning, glittering city lights. 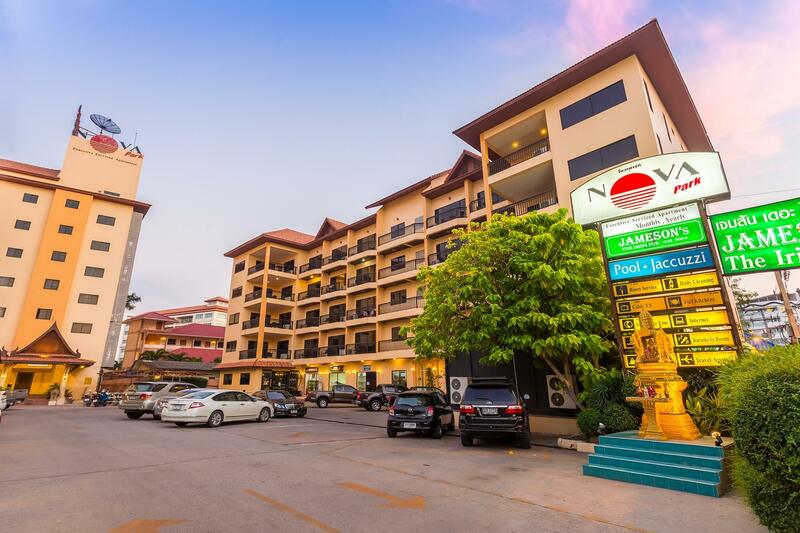 This hotel is near ParadiseTailor, Pattaya Dragon Shopping Center, Pattaya Klang Market, Driving School Centre, and Central Marina Pattaya. From a concierge to dry cleaning services, it has a number of useful services for guests. Equipped with a kids club, it offers parents a safe childcare option to keep their little ones happy. It also offers a kids swimming pool to keep the little ones entertained during your visit. With Thai, American, and European restaurants in the area, you can enjoy different types of savory cuisines during your stay. The Nova Park Hotel has a bar, restaurants on-site, and room service, so guests can stay in or grab a snack. Featuring a fitness center, an outdoor swimming pool, a garden, and a spa, this hotel has everything you will want to make your time away as comfortable as can be. It has numerous convenient features, such as a salon, a library, shops, and a smoking area. 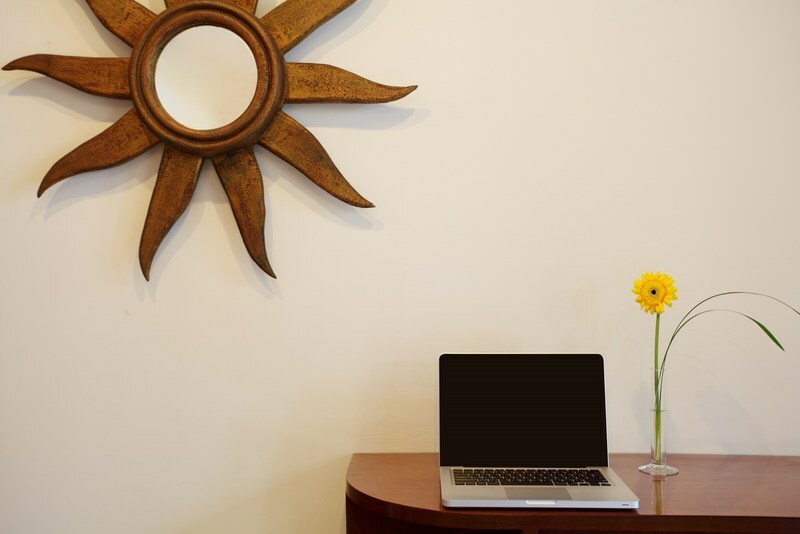 There's free Wi-Fi in all rooms, as well as Wi-Fi in common areas, ensuring that visitors are able to contact their friends and family without splurging on roaming and data costs. If you want to spend the day relaxing and unwinding, get a massage nearby. 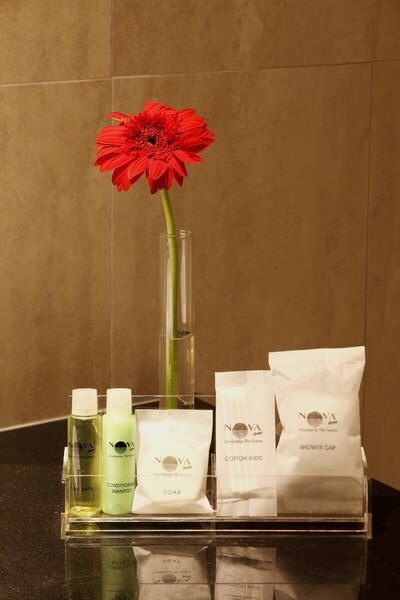 The Nova Park Hotel has facilities for disabled guests, is wheelchair friendly, and provides elevator access. This Pattaya hotel accommodates pets, so you can keep your dog by your side throughout your stay. It provides a 24-hour check in and check out service, allowing you to arrive at a time that is most convenient for you. The Nova Park Hotel features an around-the-clock front desk, ensuring that there is always someone on call to answer any questions you may have. The nearest airports are Utapao International Airport (UTP) and Suvarnabhumi International Airport (BKK), which are situated 30.6 km and 84.8 km away. The Nova Park Hotel provides a variety of transport options, such as airport transfers and shuttle services. Bus Terminal is 1.7 km away and Pattaya Railway Station is 2.0 km away. "Good enough to stay again"
My second time on Nova Park, stayed on the suite apartment, very well equipped with oven, fridge, microwave and cattle, very spacious and clean, they have a nice swimming pool and a nice restaurant next to it where they serve Thai and British food. Wi-Fi works very well, it’s a little bit noisy on some nights with a night club nearby. The staff is very helpful and they speak good English, will definitely stay there again. Disco noise starts at 12.30am and finishes at 5am. Construction work across the road starts by 9am so not for light sleepers. Rooms OK and spacious but could do with minor maintenance. Smell as they are all smoking rooms and sewage smells from drains come into the room. Pool is nice, staff are friendly, location OK but requires some walking or lots of bike taxis. Parking and car security is good. Didn't meet expectations based on other reviews but would probably suit smokers. I ve been coming to this hotel for the past 10 years and although it is definitely not a top notch first class hotel, there is an air of comfortness that I always find extremely reassuring. The rooms are spacious and the sanitary levels are high. 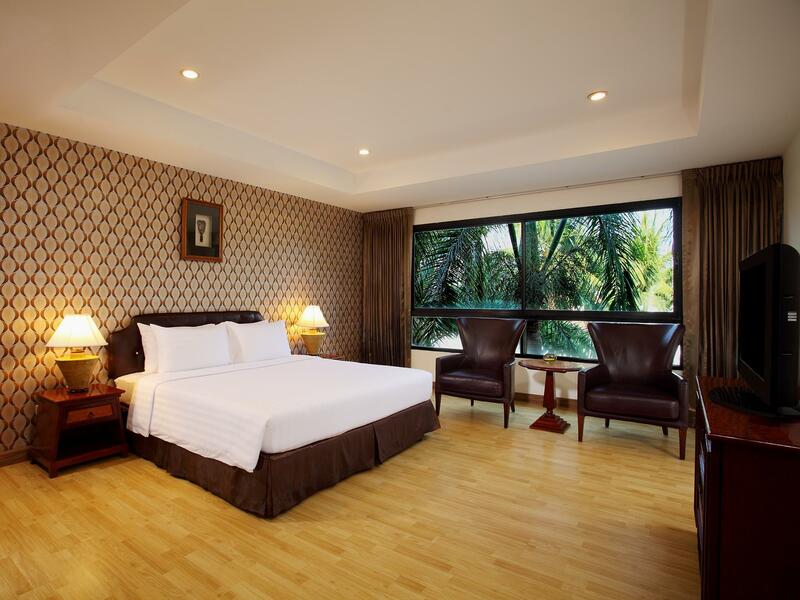 The rooms are equipped with all the amenities and dinnerware for your liking. I just hope that this place just doesnt disappear like it is happening with some of the other hotels in the area. Sometimes the good old things deserve to be where they are. Initially I was disappointed due to there being no bathtub. The room description on Agoda said the room had a bathtub but there wasn't one. No rooms have a bathtub, the staff tell me. Other than that everything was perfect about this hotel. Staff were polite and helpful, room looked exactly like the picture. I would stay here again. NICE CLEAN HOTEL, ROOM WAS VERY CLEAN AND HAD A KITCHEN IN IT AND DECENT TV , POOL VIEW, NO BALCONY, BUT I COULD SMOKE IN THE ROOM AND OPEN THE WINDOW. VERY QUIET. FAIRLY NICE POOL SIZE, NOT HUGE. LOCATION IS RIGHT BY SEVEN ELEVEN AND FAMILY MART FOR YOUR LATE NIGHT SHOPPING, THERES THE PUB RIGHT BY THE HOTEL THAT PROVIDES VERY GOOD FOOD TO YOUR ROOM, I USED IT TWICE AND UPTO TO 12:30 AT NIGHT. IF YOU TURN LEFT AND WALK DOWN SOI 4 YOUR ON SECOND ROAD IN 5 MINUTES SO THE BEACH IS 15 MINUTES WALK AT THE MOST. BIG C SHOPPING IS 15 MINUTES WALK. I WILL DEFINITELY BE STAYING HERE AGAIN. Good value hotel that is perfect for solo traveler on a budget. 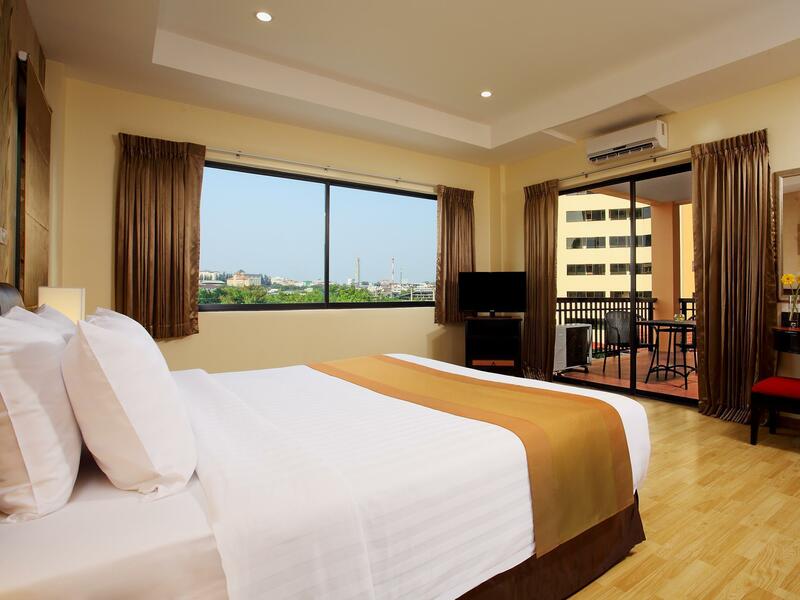 Hotel is located on soi AR and a 5 minute walk to second road and Soi 6... Room had good air, bed, kitchenette. I will stay here again as a solo traveler. I was staying in the suite room of this hotel.The room was spacious and having all types of necessary room ameneties like aircon,hot and cold shower,mini bar etc.and in good working condition.The main plus point of this hotel is, it is a GUEST FRIENDLY hotel means if you have booked double room then you can stay with your outside guest without any extra cost. All you need is nearby...stores, restaurants, money exchange, scooter rentals. Best enjoyed with scooter because hotel is not on the sangtow line (10 baht). Otherwise nice hotel, nice staff, good pool. I love the pool, room is nice and spacious with kitchen (fridge is always useful). Food, stores, bike rentals, money exchange ...all in 100s meters walk. Sometimes little loud music from bars...but nothing major. I stayed here few times already. Pool is very nice, room is actually 1-bed apartment, spacious with kitchen, fridge... Motorbike rentals close, good parking, convenient stores and restaurants nearby. Only drawback is some music from bars at night...but it's not so bad. I have stayed here a couple of times now. The overriding sentiment is that it is good value for money. Rooms are big and clean. The pool is decent. The staff have always been very nice and accommodating. My one gripe is that I woke up one morning whilst it was raining heavily and there was no electricity; this was an issue with the hotel and not the whole surrounding area. This meant I had no aircon or shower, as well as no tv or wifi. It took until early afternoon for the electricity to return. Definitely not a deal breaker for me tho. Everybody who is looking for a quiet location but still in walking distance to all activities should consider Nova park. It is a nice place with very helpful staff, Jamesons Pub at the corner for a drink are something to eat. If you are looking for value for your money I can only recommend this place. I was surprised at how good this hotel was for the price I paid (under $30 USD). I was surprised to see that my room (a basic one) was more of a small one-bedroom suite than a studio. While it wasn't particularly fancy or chic, it had a more traditional and relaxing. The bedroom wasn't particularly exciting but had a larger fridge than most hotels, nothing was broken or work down, and it had two large TV's. I honestly think I preferred this place over the Nova Gold despite the Gold's higher price and star rating. I would recommend this place and am likely to stay again next trip. Pros: Price, Room layout/design, decent location, decent view from 7th floor, big fridge, 2 TV's, 2 aircon units (one for bedroom, one for living area), separate living area with table and chairs which is very unusual for a unit at this price. Cons: Bathroom water pressure and temperature was VERY erratic (as mentioned in other reviews). Elevator could use a new coat of paint. Good location, big carpark with security, good gym and pool. Booked a suite with separate sleeping room and kitchen/sitting area. This is real value when off season. Food can be ordered from the onsite Irish Bar. Great hotel overall. great large room with balcony.lovely swimming pool. friendly staff. My stay at Nova Park was great.I had a large room with comfy bed and big walk in shower. Housekeeping every day with clean towels and spacious balcony,friendly staff and lovely secluded swimming pool.Good Thai restaurants nearby.Everything I could want. Very comfortable, easy access to 24 hour Family Mart or 7-11 and motorbike rentals. Room is large and equipped with silverware, dishes and pans for cooking...has kitchenette stove. Hot water in shower, nice size bathroom. Many tiny ants if you leave food sitting. They will exterminate if you request. Staff is very attentive and helpful. Pool area is beautiful and good for short laps. 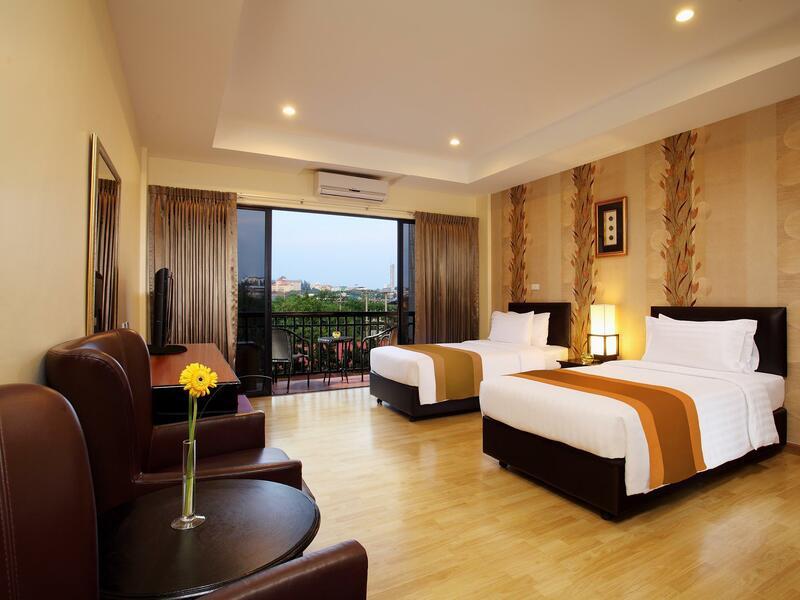 Rooms are maintained and depending on when you go are economical. Peak season is more costly, so you may want to stay elsewhere cheaper if you don't need the pool. I enjoyed my stay there...SO I extended my stay. Only one bad thing: There were these tiny ants that would show up if any dirty dishes or food was left on the counter. And they were numerous. Other than that the hotel is really good in most things from location to service. The toilet clogged and the service man came immediately to take care of it. The shower had hot water although it tended to fluxuate frequently so you would have to adjust it. Staff were wonderful and attentive. Swimming pool was beautiful and big enough to do laps. It also had an outdoor shower and bathrooms at the pool with tables and chairs. The surrounding had much green foliage making the pool area very pretty. I enjoyed my stay there. Only one bad thing: There were these tiny ants that would show up if any dirty dishes or food was left on the counter. And they were numerous. Other than that the hotel is really good in most things from location to service. The toilet clogged and the service man came immediately to take care of it. The shower had hot water although it tended to fluctuate frequently so you would have to adjust it. Staff were wonderful and attentive. Swimming pool was beautiful and big enough to do laps. It also had an outdoor shower and bathrooms at the pool with tables and chairs. The surrounding had much green foliage making the pool area very pretty.